The aesthetics of DTLA Cheese was what drew me into their restaurant. But also because half of the stores at Grand Central Market were really packed, haha. 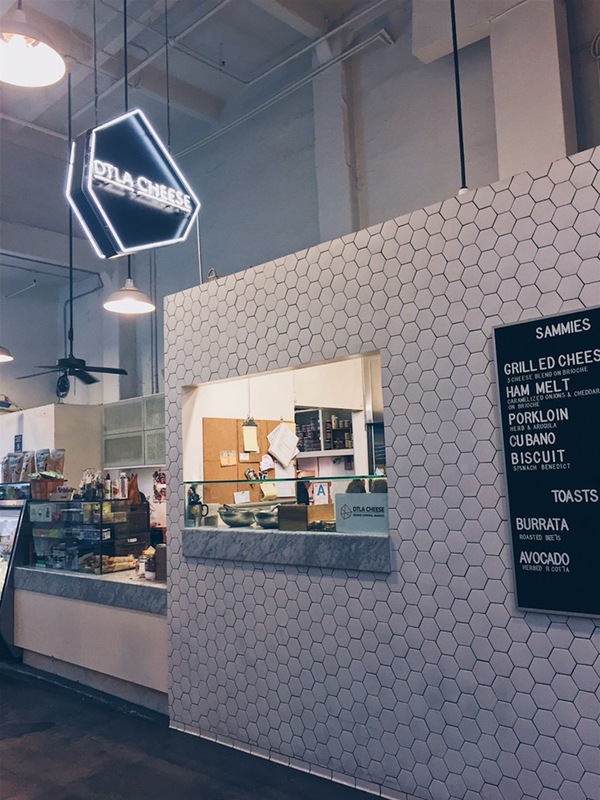 Nonetheless, DTLA Cheese had amazing food! The service was really friendly and nice and accommodated to my requests. The sandwiches took about a 10 minutes and they served the orders together. There were several tables and chairs all about Grand Central Market which helps vendors that don’t have their own seating connected to their store. 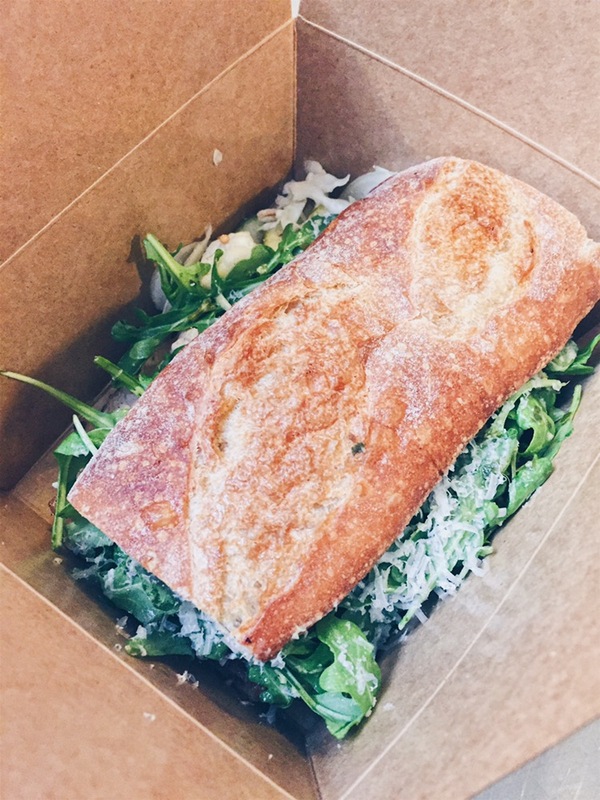 This is the Porkloin Sandwich with Herb and Arugula. Goddammed, this tasted so yummy! The pork was fresh and chewy, but arugula kept falling out of each bite which was annoying. Either way, this sandwich made a good start to my day. Also got a Grilled Cheese Sandwich on the side because I figured DTLA Cheese would have amazing Grilled Cheese Sandwich right? To me, it was just okay. I think it was because I ate the Porkloin Sandwich first, so the Grilled Cheese Sandwich tasted plain to me. I wanted some type of meat in my Grilled Cheese Sandwich as well after taking a few bites. 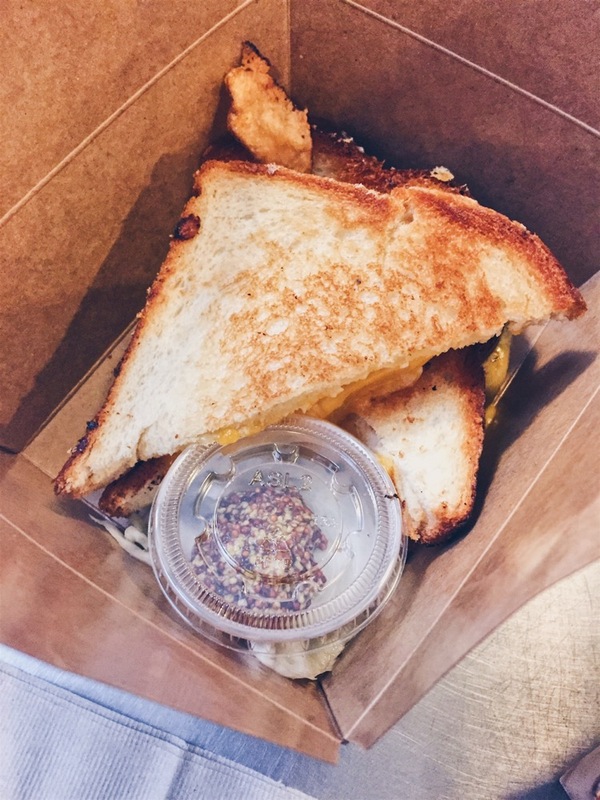 But I really liked the pairing of the type of bread and cheese that was made with the Grilled Cheese Sandwich but overall nothing special. I would recommend getting the Porkloin Sandwich over the Grilled Cheese Sandwich.